The Center for Jewish Studies has reached the final stage of its consideration of candidates for the position of Director of the CJS at UNC Asheville. The next director will hold a faculty position as a professor of German in the Languages and Literatures Department. As part of their campus visits, each candidate will offer a talk based on his or her current research. The Center for Jewish Studies has enjoyed broad community support for its programming since its founding in 1982. We thank you for your support. We intend to continue offering programming to enrich the campus and community as we move forward. This is your chance to learn from each of the finalists for the position and to show them how important the CJS is to the community. Decades after the devastating destruction of the Holocaust, the once prominent genre of German-Jewish literature has grown and developed anew. Often central to the works of today’s German-Jewish authors is the legacy of this most catastrophic event of 20th-century Jewish history. Complicated identities abound, mired in traumatic familial memory, intergenerational silences, and seemingly contradictory notions of belonging. To navigate this tangled web of contemporary German-Jewish identity, many authors turn to the enduring core of Jewish culture: the text. In this talk, Doria Killian explores how themes of narrative, writing, and storytelling are used by three contemporary Jewish authors writing in German to make sense of their family’s difficult pasts and to build a strong German-Jewish present. Doria Killian is a Ph.D. candidate in German Studies at Georgetown University. Her current project, “And You Shall Tell Your Children: Narrativizing Memory and Memorializing Identity in the Autofiction of Contemporary German-Jewish Women,” analyzes the narrative strategies employed by Jewish women writing in German over the past 30 years in their constructions of identity and belonging, as well as their negotiations of familial and cultural memory. Her wider research interests include post-1945 German-Jewish literature; narrative theory; women’s, gender and sexuality studies; transnational and transcultural literature; and memory studies. Holocaust memorials to various victim groups resonate throughout Germany, resulting in layers of memory. Despite the positive reception of Jewish Holocaust memorials, many German-Jewish public figures have gone on record against them. This presentation takes an account of the 21st-century tension between a seemingly productive dialogue among memorials and the critiques Jews in Germany have levied against them. The living voices of German Jews are contouring the ways Germans confront the past. 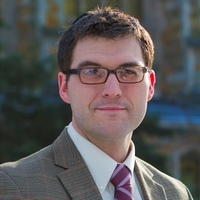 Dr. Nick Block is a Visiting Assistant Professor of German Studies at Boston College. His current manuscript entitled Schlepping Culture: The Jewish Renaissance between German and Yiddish, 1880-1940 details the transnational cultural transfers between German and Yiddish modernism. It argues for a broader international look at migration as a catalyst for the rapid Jewish cultural production in the modernist period. Block received a 2017 early career fellowship from the Leo Baeck Institute in New York to research the German-Jewish connections to the Yiddish theater both in Europe and New York. The Leo Baeck Institute Year Book for German-Jewish studies in London awarded an article he wrote on messianism in German-Jewish thought with its 2015 essay prize. The American Association of Teachers of German and The German Quarterly awarded him with the 2012 Best Graduate Student Paper Award. In 2016, Block hosted an international symposium at Emory University on the topic “Contested Jewish Futures.” His broader interests engage with German-Jewish intellectual history, Orientalism, the Muslim-German-Jewish triangle in contemporary German culture, and German literature after Auschwitz. He has previously taught at Emory University, worked as a translator for the PBS television series Finding Your Roots, and was an archivist for the Yad Vashem Holocaust Museum in Jerusalem. He received his Ph.D. from the University of Michigan. This talk examines the intersection between Judaism and the paradoxes of quantum physics in both Franz Kafka’s literature and Joel and Ethan Coens’ film A Serious Man. Similar to how Jewish tradition was undergoing a radical change at the beginning of the 20th century, the exploration of the subatomic realm by Niels Bohr and Albert Einstein were destabilizing the laws of time, space and causality. While Kafka’s parables—situated between Talmudic thought and modern physics—depict Jewish identity as inhabiting a quantum-like state of uncertainty in the era of European assimilation, the Coens take Kafka’s description of a “water-downed Judaism” to its vanishing point. Developing Kafka’s own question of what it means to be a German-Jewish writer suspended between emancipation and assimilation, the Coens construct a Talmudic-like parable that probes the question “What is a Jew?” in the American landscape of the late 1960s. Demonstrating how Kafka’s parabolic language functions as a lens through which the Coens examine Jewish life, this paper probes how the Jews of A Serious Man continue to occupy a space between the ruins of tradition and postponed redemption. Eric Kligerman is an Associate Professor of German and Jewish Studies at the University of Florida, where he received the Teacher of the Year award in 2016. His current research, which focuses on the works of Franz Kafka, examines the intersection between quantum physics and German-Jewish intellectual thought. In addition to his Sites of the Uncanny: Paul Celan, Specularity and the Visual Arts (DeGruyter, 2007), he has published on such topics as Nazis in American popular culture and representations of the Holocaust in German film and painting. His most recent publications are on the intersection between Hannah Arendt’s Eichmann in Jerusalem and her analyses of Kafka, and another article that examines Walter Benjamin’s engagement with modern physics in his philosophy of history. Have an exciting piece of news you'd like to share with the rest of the CBI family? Let us know. Our Family Matters blog features stories and events that are just too good to keep to yourself. To submit your story, email Alan Silverman with the details and a photo, if you have one. We'll try to get it posted within 24 hours s everyone celebrate with you. Thanks.